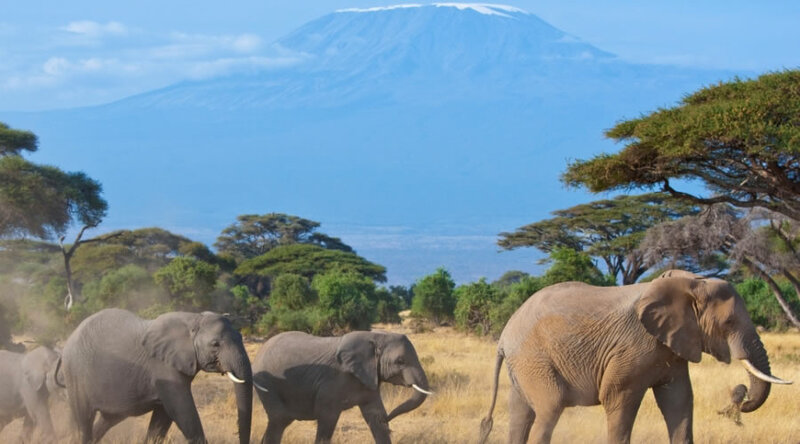 Amboseli National Park sits on the lower slopes of Mount Kilimanjaro: Africa’s highest Mountain. It is an amazing experience to see Mount Kilimanjaro hovering above the clouds in an early morning game drive. The the wild animals arising against the dramatic backdrop of Mount Kilimanjaro will thrill the photography enthusiast. Amboseli National Park is renowned for its huge elephant herds. Other wild animals found in this park include: buffalo, black rhino, zebra and Wildebeest. 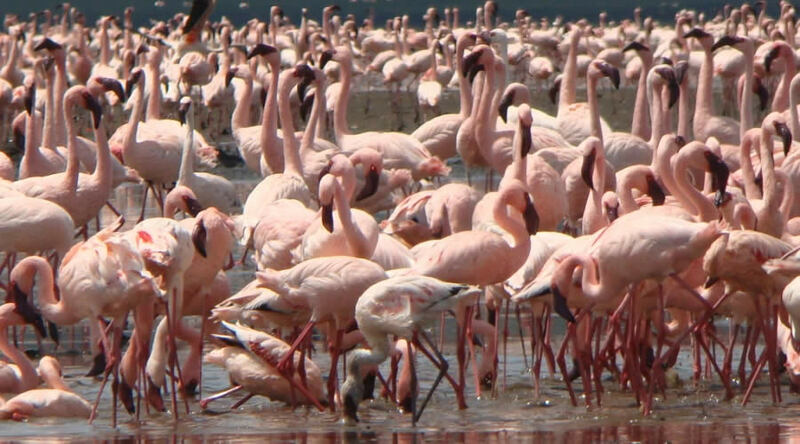 Lake Nakuru is famous for its pink flamingos and the over 400 species of birds found here. The lake itself is a soda lake on the floor of the Rift Valley. The sight of thousands of flamingos is quite spectacular. From a distance the lake appears ringed in pink. Lake Nakuru has also earned a reputation as an important haven for endangered species, particularly the Rothschild Giraffe and the Black and White Rhino. Lions, Water-buck, Buffalo, Monkeys and Baboons are all residents here. 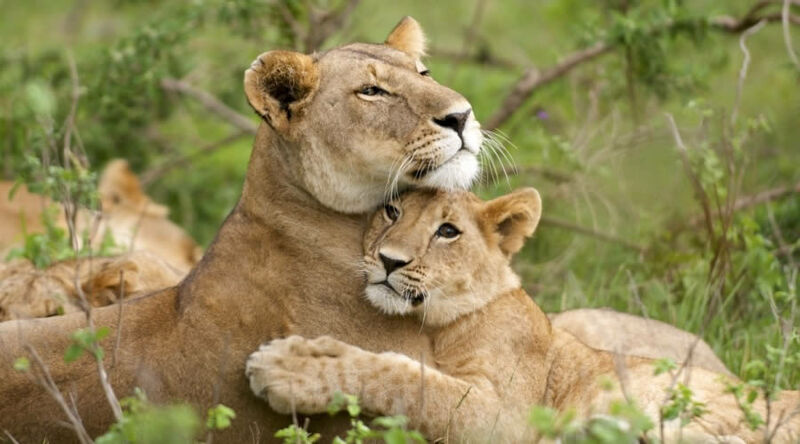 Masai Mara is the home to all the Big 5 Wild animals namely: Lions, Elephants, Buffaloes, Leopards and Rhinos. Other wild animals found in the park include: Hippos, Giraffes, Wildebeests, Zebras, Warthogs, Hyenas, Jackals, Wild dogs and many kinds of Antelopes. 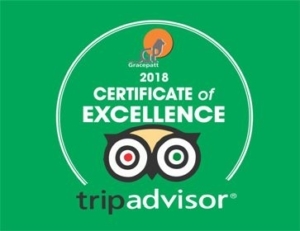 We pick you at the airport or your hotel in the morning hours and after a tour briefing we depart for Amboseli National park. Drive through Namanga at the Kenya -Tanzania border to Amboseli National Park to arrive in time for lunch at your lodge. We then proceed with an afternoon game drive. Dinner and overnight stay at Oltukai lodge. Have an early morning game drive in the Amboseli National Park. Return to your lodge for breakfast and spend the rest of the morning at your leisure. Enjoy Swimming at the lodge’s pool or do an optional Nature walk at a small fee. Lunch will be served at Oltukai lodge. We then have afternoon game drives till evening. We leave Amboseli National Park and drive to Lake Nakuru. En-route we will pick up your packed lunch and proceed to Lake Nakuru Simba lodge for check in. Later check out and drive to Lake Nakuru National park for an afternoon game drive. Later we have dinner and overnight stay at Lake Nakuru Simba Lodge. Drive to via the Great Rift Valley to arrive at Masai Mara in time for lunch at Mara Sopa lodge. We go for an afternoon game drive till dusk. Some of the famous wild animals include: lions, rhinos, hippos, crocodiles, giraffe, wildebeests, zebras, buffalo, warthogs, hyenas, jackals, wild dogs, buffalo, leopard, many kinds of antelopes and elephants. Dinner and overnight stay at Mara Sopa lodge. After breakfast, check out with packed lunch for the great migration experience. Spend the all day at the river side watching the migration of the wildebeest. We take you to your lodge late in the evening. Dinner and overnight stay at Mara Sopa lodge. After breakfast, we will have an early morning game drive before we drive back to Nairobi City. We check out and drive to Nairobi to arrive in the afternoon. We will then transfer you to your hotel before your departure.